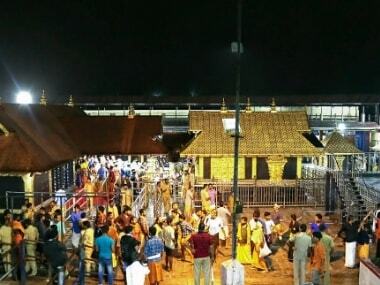 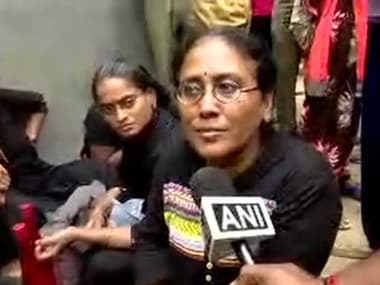 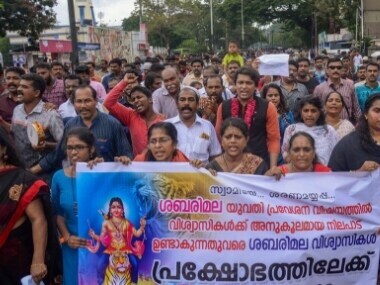 A Dalit woman activist, who was planning to visit the Sabarimala shrine Saturday has put her plans on hold and left Pamba following heavy rain, as high drama was witnessed when another woman was stopped from entering the temple by devotees who thought she was under 50. 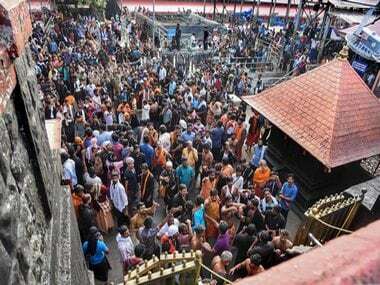 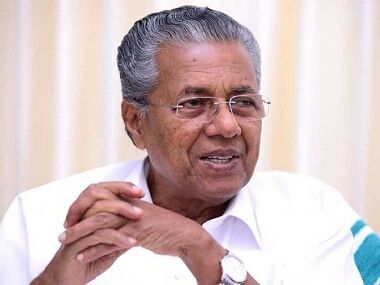 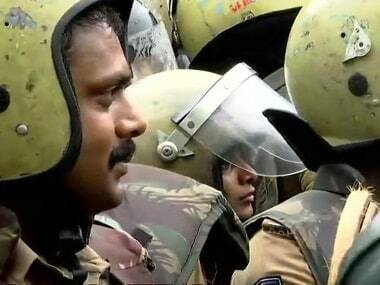 The situation turned tense in the Sabarimala area, where section 144 was clamped, as devotees gathered in large numbers at 'Valiya Nadapandhal' to protest against the woman's entry into the temple. 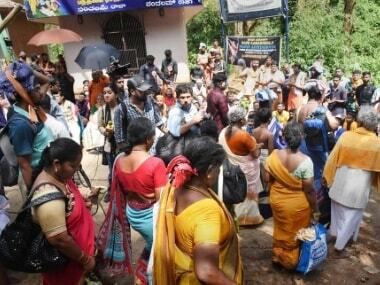 However, the tension was defused after the woman, who had come with her family members, convinced the protesters that she was above 50 years, and proceeded to the shrine. 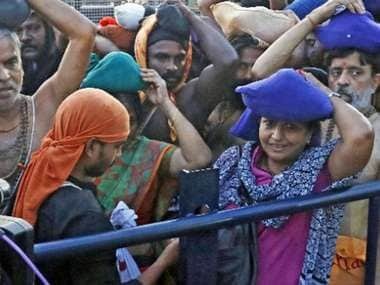 Two women, including a reporter from Hyderabad, began trekking to the Sabarimala hill on Friday amid strong protests by devotees opposing the entry of girls and women of menstrual age into the Lord Ayyappa temple.